Though we have not yet reached the future of the flying cars as so predicted by famous cartoon show “The Jetsons” as well as displayed in futuristic films as “Blade Runner”, and “The Fifth Element”, we can enjoy similar exquisite automobiles that all car lovers will greatly enjoy, Syfy’s new original reality series “Dream Machines”. If that isn’t scary enough for drivers on the streets, what about self-driving cars like the ones by Google? “We have yet to do a self-driving car but things like that are definitely up our alley. I mean, those are the things that we like to pursue as the things that haven’t been done, radio controlled or computer controlled or, we’re looking into a lot of the alternately energy source things”, said Shannon. He also said that they are focusing on electric and gas powered vehicles. Great news for those suffering with gas guzzlers! Shannon also stated that he and his brother like to “push the envelope” every chance that they get to do something that hasn’t been done. 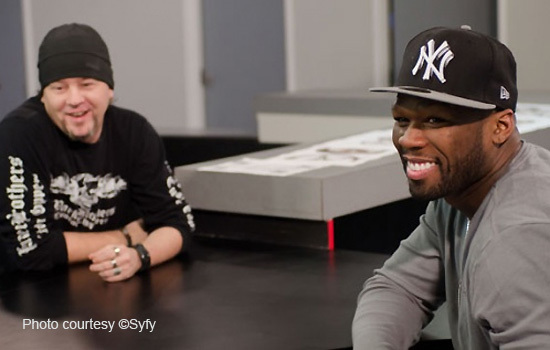 This season of “Dream Machines” will feature a build that the brothers did for celebrity rapper 50 Cent. Another celebrity that they built a car for is John Cena. They’ve also had Auotrader.com, and Susan G. Komen Foundation where they auctioned off their creation for the charity, as famous customers. “We kind of cover a lot of spectrum there from music to television to movies to charities. Anything that anybody wants that’s not normal, we’re into it” said Shannon. 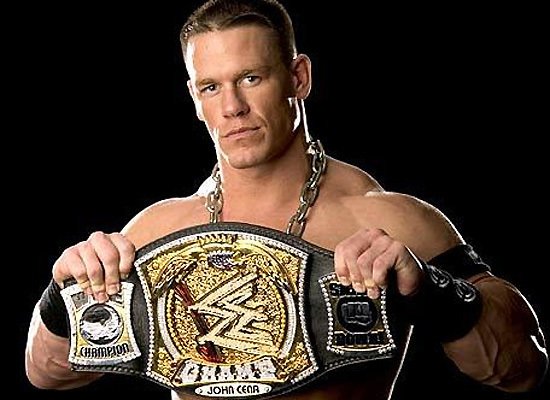 The Parker Brothers built John Cena (above) a car. The Parkers’ background is not one that most people may typically assume- of architecture or engineering. No, they are fully self-taught! Marc responded with “We’ve always been interested in building things and tinkering. So stuff that we liked wasn’t available on the market, you couldn’t go out and buy the things that we were interested in having”. He expressed that they had to learn how to do it on a small scale and as they grew up, they continued with it on a larger one as it evolved. They joked that they were graduates from the University of Hard Knocks! The Parkers also admit that part of their inspiration came from when big companies who had plenty of money would tell them that some of the creations just were “not possible”. They realized that when they did it on their own they found a way to do it. “We just found a way to do it. We made it to be possible when everybody else said these things are impossible to do”. “Dream Machines” premiers on the Syfy channel Tuesday, April 10 at 10/9 c.